Modern or traditional, dramatic or conservative, custom cabinetry will set the tone for your kitchen or living space. 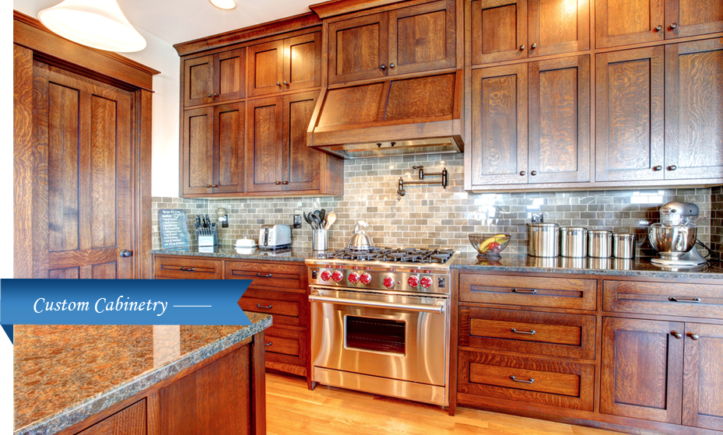 If you’re in need of all new cabinets, refinishing, or additional cabinets to match your existing units, we can help. From design to installation and care, all aspects are provided by our crew – no subcontractors, just personal service. Visit our showroom Monday – Friday or schedule an appointment to review samples and discuss your goals.